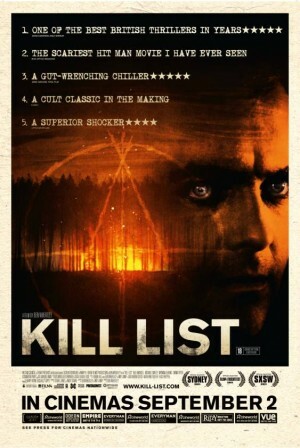 Simple enough: the “Kill List” is a list of people that Jay (Neil Maskell) and Gal (Michael Smiley) are contracted to kill. But Ben Wheatley’s film is more psychological thriller than crime thriller, and arguably horror, and arguably very oblique war allegory. The two men are veterans of one or other of the last decade’s wars in the Middle East. The long first act of the film is a long, realist look at their suburban life that plays like a high-class version of a British soap opera. Londoner Jay has a Swedish wife, Shel (MyAnna Buring), and a young son. He seems vaguely depressive, maybe just bored of doing not very much all day. He and Shel cycle through loud rows and quiet reconciliation. The wry Northern Irish Gal brings a new girlfriend (Emma Fryer) to a dinner at Jay and Shel’s home that is punctuated in the middle by a blazing shouting match between the hosts; Gal reassures and comforts their son while they fight. Subject to their personalities, everyone is as normal as can be. The dialogue in particular is among the most naturalistic that I can remember. There is no rush whatsoever to get to the point where Jay and Gal get to business. We learn that the two former soldiers still work in violence, now as extralegal contract killers. Since the movie has gone to such lengths to establish the two men in familiar domestic-drama roles, there is nothing glamorous, exotic, or at first even interesting about the concept that this is how they earn money. This is a realist picture of working-class hit men. Their last job – “Kiev”, it is coded throughout – got messy in a way that we never learn, and Gal must talk Jay into ending his lethargy and getting back to work. And so finally the kill list. They are travelling businessmen, checking into that quintessentially British kind of cheap, characterless hotel to scout and then murder their targets. The job, though, seems somehow off-kilter, and quite soon Jay’s professionalism starts to lapse as he is (quite understandably) unable to figure out exactly what is going on. He seems to now – after Kiev, maybe? – be a soldier who cannot kill without thinking, and because this job is a puzzle with little prospect of a logical solution, the thinking makes him volatile, and the volatility feeds on itself. Gal remains sensible, but he cannot restrain his friend. 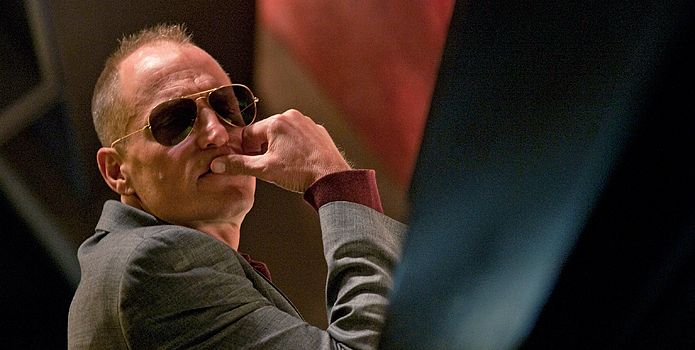 The key to the effectiveness of the whole thing is the unorthodox and impeccable pacing. The excellent domestic realism of the first half plays very slowly, but when the acceleration starts it never stops. The best cut is to the title card at the end, when it is suddenly clear in hindsight that the pace has been increasing steadily and maniacally for quite a while. We are swept up like Jay in the maddening, nightmarish weirdness that would be absurd if it were less unsettling. It is nihilistic in the way a dream is nihilistic, and perhaps this is why Jay continues to kill through it all. There is one key moment in which he and Gal try to extricate themselves from whatever it is that is happening and are clearly compelled to continue. At first I wondered if perhaps it wouldn’t have made more sense not to have this compulsion, since Jay at times seems unstoppable anyway. But it seems right that he retains his common sense, so that we can’t give him up as deranged. His world has become nightmarish, but he is tragically lucid, the victim of the horror, not the perpetrator. The more time goes by since I saw “Kill List”, the better I think it was. This is because it is pretty clear that there are plenty of ways in which it doesn’t make any sense, and the temptation to poke at the flimsy logical fabric or to play plot hole games is strong. In retrospect, though, the tone resonates long after any arguments about what is or is not going on. Jay and Gal have to kill people they don’t understand on behalf of people they don’t meet for reasons they don’t know. Why should any of it make sense? I suppose Melancholia is science fiction. It consists of two long halves after a wonderful prologue. In the first half, Justine (Kirsten Dunst) and Michael (Alexander Skarsgård) are just married. They are playful and happy as they arrive for their lavish reception at the vast country estate that is the home of Justine’s sister Claire (Charlotte Gainsbourg) and her husband John (Kiefer Sutherland). There is much familiar upper-crust domestic drama, but it becomes apparent that Justine is suffering from horrific depression, her behavior increasingly unpredictable and outlandish. We are left as helpless as Michael to prevent her from being overtaken entirely by her malaise. In the second half, washed out after the richly colorful reception, we focus on John and Claire, their young son, and Justine. As Justine recuperates, they live under the shadow of the imminent arrival in Earth’s vicinity of a planet Melancholia. John’s position is of scientific wonderment. He insists that the experts have declared no risk of a collision and educates his son in his amateur astronomy. Claire reads conspiratorial websites that predict apocalyptic doom (in the movie technology tradition, the scenes of her internet search for information are jarringly unrealistic). As time goes on and the situation grows dire, Justine, like a see-saw, the role of the calm, sensible realist as those around her shrink in fear. Ultimately then we can contrast Justine’s breakdown at the reception and Claire’s breakdown in the face of death, and, parallel, the reaction of each to the other. Is Justine growing absolutely in strength as disaster approaches, or only relative to Claire? She is as resilient to terror in the second half as she is drained of all high emotion in the first. It is telling that Claire is tender and indulgent of Justine, but as her own anxiety grows, Justine refuses to coddle or reassure her. Justine’s bluntness seems almost shaded with a slight vindictiveness. It is horribly obvious that the sisters are worlds apart mentally, that Claire’s terror and Justine’s depression are entirely dissimilar. It is remarkable that the tangible, rational distress of second-half Claire never for a moment trivializes Justine’s illness: Justine’s outlandish behavior at the reception seems easier to grasp after we see the collapse of the first half’s healthier characters. All private distress gets equal billing. 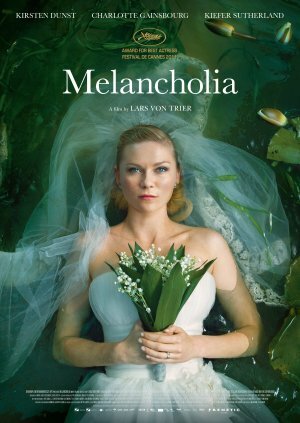 The planet Melancholia is hinted at only very lightly in the first half of the film, although it is unambiguous, particularly in retrospect, that everyone is aware of it. Is life going on regardless? Despite its name, I wondered exactly how much to read it as a manifestation of her depression. For her to be summoning it would be too much of a stretch, but I got the feeling that Justine at least understands what it means for the people around her, maybe in some sense has already encountered it. 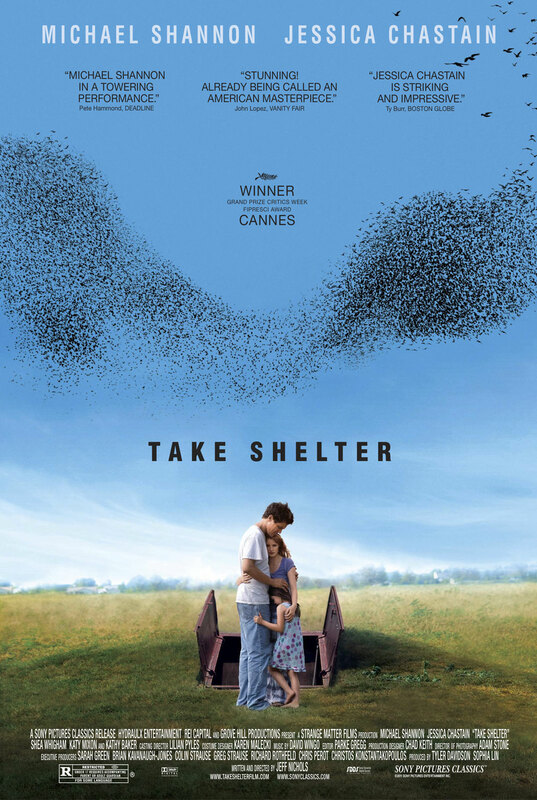 By the time the private apocalypse is completed, it has proved that the pragmatic rationalist John and the kindly caregiver Claire are both utterly useless against it. But all along Justine it completely unfazed. Dunst shows Justine coming slowly into focus as she comes into her element, her brilliant portrait of depression complete. The prologue: before the action of the movie begins, we open with a long sequence of exceptional and striking beauty. 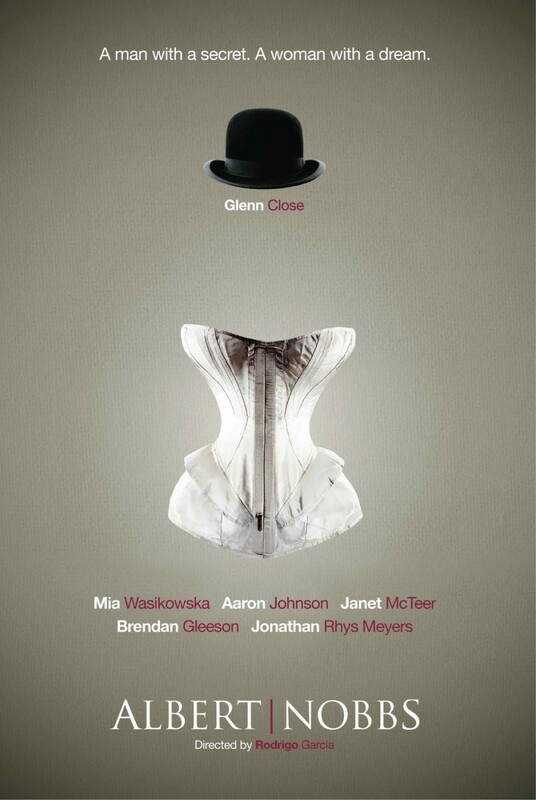 The entire film will take place on the vast country estate, and we see long, posed tableaux of the main players in their reception dress in various places around the estate. The shots are in agonizingly heavy slow motion, saturated with almost ultraviolet color, all incredibly rich, dark purples, greens and blacks. The sequence previews in an oblique and abstract way some of the touching points for the rest of the film. I found the whole effect entirely disarming and captivating. I would call it Gothic if that didn’t seem like such faint praise – it was somehow like the checkerboard in Lewis Carroll’s second “Alice” book “Through the Looking-Glass”, with the cast set up as helplessly immobile players as they went about their business with the world crashing around them.